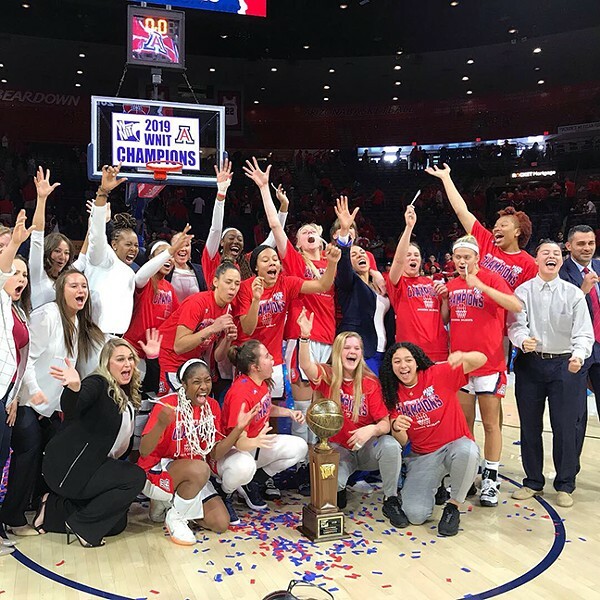 Congrats to the UA Women's basketball team, which won the WNIT crown earlier this week right here in front of sold-out crowd at McKale Center. Columnist Tom Danehy writes about whether this is the birth of a new day for women's basketball—and given how these are not bright days for men's basketball and football at the UA, we could use a morale boost on the sports scene. Danehy, by the way, has been penning a column in this rag longer than I've been around—and I've been around a long time. I'm delighted to announce this week that he'll once again be appearing in our pages every week, instead of every other week. The news is sure to delight his many fans and disappoint a few of our more vocal TucsonWeekly.com commentators. Break out your crayons and start writing your hate mail now, folks! We're also excited to bring you a chapter of The Light Years, a new memoir from Tucson artist Chris Rush, who had quite a wild childhood. Our excerpt picks up while Chris, who had a rough relationship with his parents, is moving to Tucson with a pregnant older sister to keep an eye on a dope house and attend high school in the early 1970s. You can meet Rush this weekend at downtown's Etherton Gallery when he does a book signing. Pima County has had its share of immigration flare-ups in recent months, including the arrest and separation of a family of undocumented immigrants after a traffic stop by a state trooper. This week, staff reporter Kathleen Kunz looks at how protests at the University of Arizona against the Border Patrol have some students facing charges. Elsewhere in the book: Sportswriter Christopher Boan tells us what it was like to watch the women's basketball team win that crown; arts writer Margaret Regan reviews Etherton Gallery's latest show; comedy correspondent Linda Ray lets you know about all the new open mics where you can chase your stand-up dreams; Chow columnist Mark Whittaker finds delectable BBQ and sweet sides; XOXO columnist Xavier Otero talks with XIXA's Brian Lopez and Gabe Sullivan ahead of their EP release party at Club Congress this weekend; and there's plenty more in the book, so you know what to do. Hear Nintz talk about what's happening in Tucson's entertainment scene Wednesday mornings at 9:30 a.m. during The Frank Show on KLPX, 96.1 FM. Zona Politics with Jim Nintzel airs at 4 p.m. Sunday on KXCI, 91.3 FM.